Gilraen (S. ‘Wandering star’; also called Gilraen the Fair), daughter of Dírhael and Ivorwen, was a Dúnedan of the North, born in TA 2907. She wedded Arathorn II in 2929 and gave birth to their son, Aragorn II, in 2931. After the death of her husband in 2933, Gilraen went with her son to Rivendell, where the young Aragorn – named Estel, ‘Hope’ – was taken in by Lord Elrond. 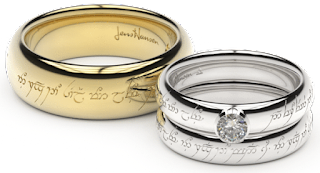 When she learned that her son had fallen in love with Elrond’s daughter, Arwen, she warned him that Elrond would not likely consent to his only daughter marrying a mortal Man. A few years after Aragorn and Arwen plighted their troth, Gilraen left Rivendell to live alone in Eriador near her people. When Aragorn came to visit her, she foretold of her coming death, and died in the spring of 3007.